The ROH 86 Project car is far from dead, in fact we’ve had a re-birth moving from a complex twin-charge set-up to a simpler single Borg Warner EFR turbo configuration thanks to GCG turbochargers and V-Sport. 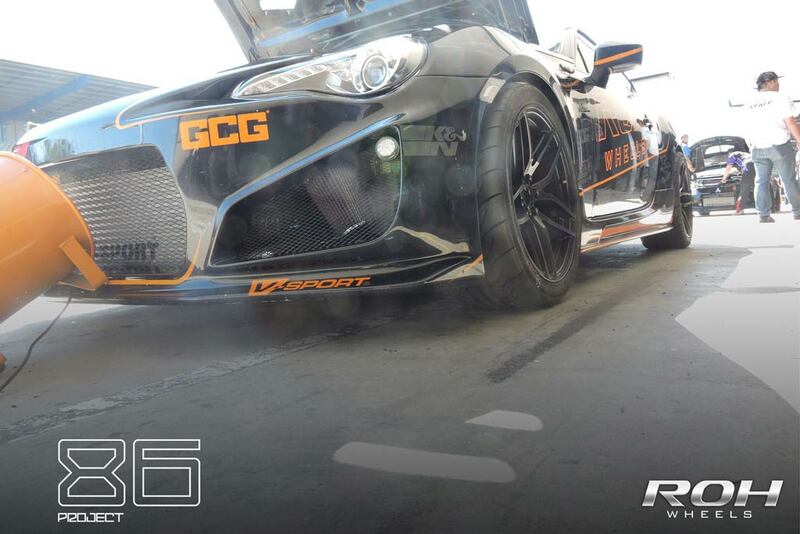 After much heart-break with the engine failure Oct. last year at WTAC, we re-grouped and decided to produce a better car again with a fresh approach. 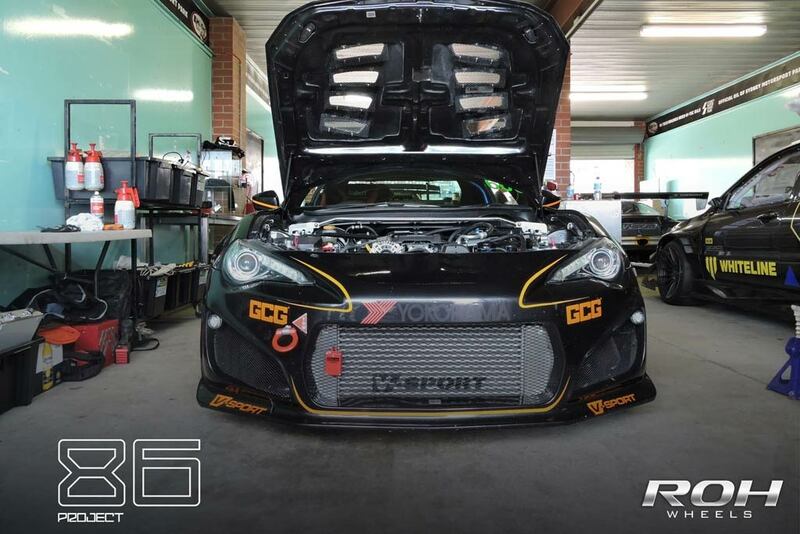 The team at V-Sport have worked tirelessly to get the car back on track, involving a complete engine re-build using a HKS 2.1L stroker kit, a bigger DBA/AP Racing brake kit, fuel, oil and air cooling system upgrades. 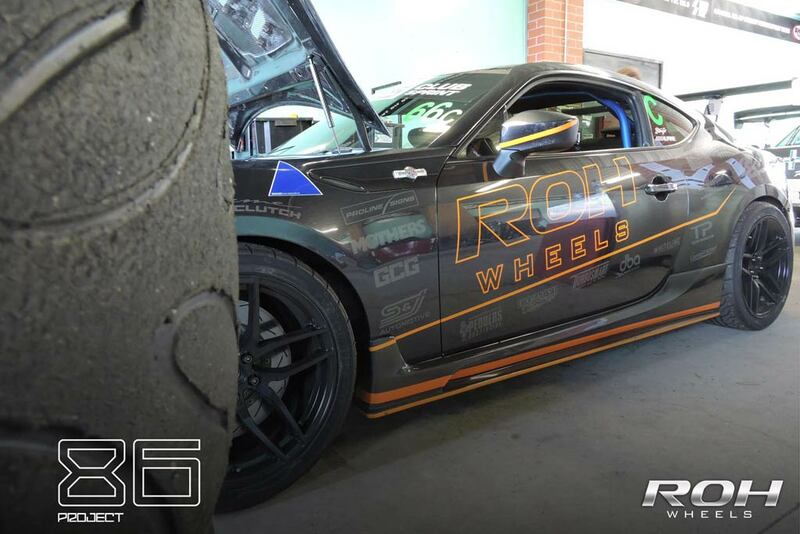 The ROH 86 had the Fastest Lap Time in MOTOR magazine Hot Tuner 2015! 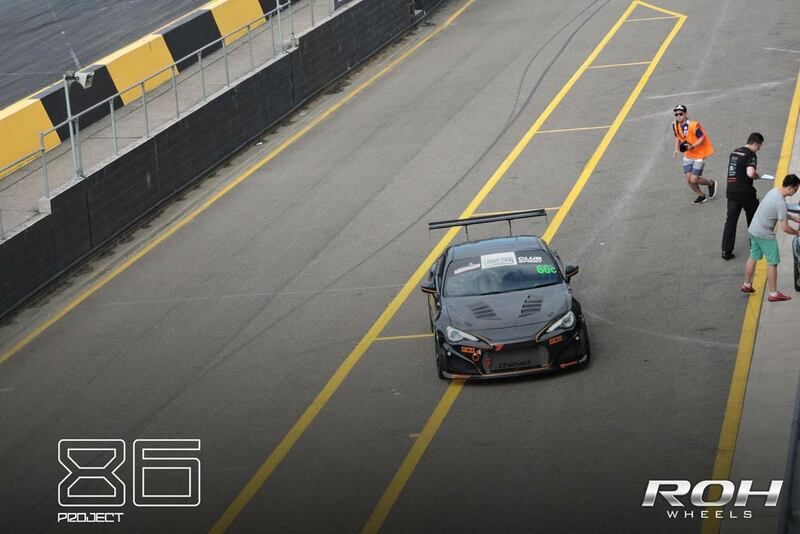 Beating an M4, WRX, XR8 & HSV among many others. It was the most powerful car in the 2L category by a considerable margin and braking right up the top end of the pack. Our aim was to be the fastest 86 at WTAC with John Healey behind the wheel, however we were up against some serious competition with Tunehouse having a well sorted car, being out-gunned by half a second. 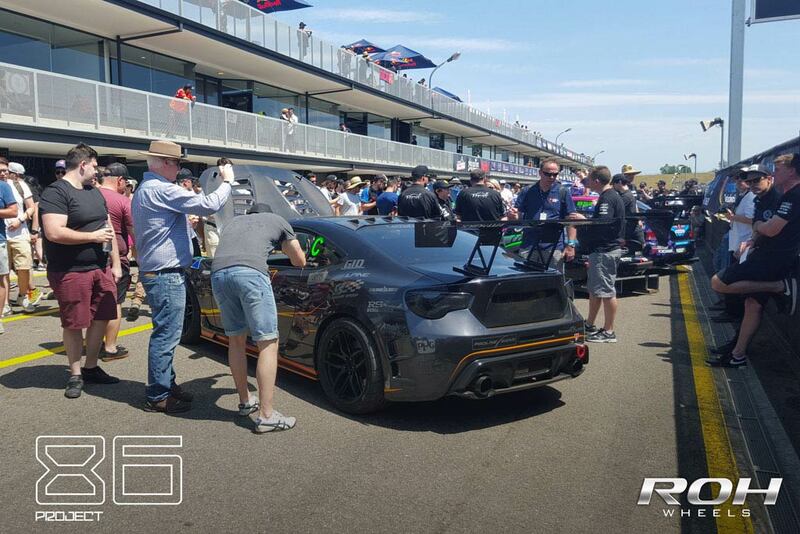 The ROH 86 Project car is currently the fastest 86 in Australia on road legal tyres and it still has AC and a standard body running narrow 265 tyres at this event. Well done to John Healey for an impressive lap time of 142.9, with a top ten placing of 9th.